Below you fill find all funeral homes and cemeteries in or near Kingsland. Suburbs of Kingsland: Granite Shoals Lake Shores, Lakeside Heights. Kingsland is also known as: Llano County / Kingsland CDP. Zip codes in the city: 78639. Llano County funeral flowers can be purchased from one of the local funeral shops we partner with. 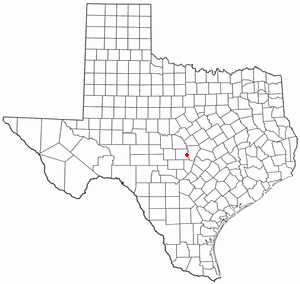 Kingsland is a census-designated place (CDP) in Llano County, Texas, United States. The population was 6,030 at the 2010 census. Texas Ranch to Market Road 1431 runs through the community. It was written by San Antonio Express News on March 13th, 2018 that James Scott Bailey passed away in Kingsland, Texas. Bailey was 68 years old. Send flowers to express your sorrow and honor James Scott's life. It was disclosed on January 7th, 2018 that Norma Jean Doescher (Martin) died in Kingsland, Texas. Ms. Doescher was 88 years old and was born in Des Moines, IA. Send flowers to express your sorrow and honor Norma Jean's life. It was noted by San Antonio Express News on December 16th, 2017 that Charles Edward Guice passed away in Kingsland, Texas. Guice was 76 years old. Send flowers to share your condolences and honor Charles Edward's life. It was disclosed on July 2nd, 2016 that Kenneth Glenn Burton passed on in Kingsland, Texas. Burton was 89 years old. Send flowers to express your sympathy and honor Kenneth Glenn's life. It was revealed on April 20th, 2016 that Debbie Caddy (Oliver) perished in Kingsland, Texas. Ms. Caddy was 60 years old and was born in Greeley, CO. Send flowers to express your sorrow and honor Debbie's life. It was reported on November 2nd, 2013 that Ray Thomas Price passed on in Kingsland, Texas. Price was 47 years old. Send flowers to express your sorrow and honor Ray Thomas's life. It was revealed by Austin American Statesman on June 11th, 2013 that Mary Ellen Kern (Anderson) perished in Kingsland, Texas. Ms. Kern was 93 years old and was born in Harlem, GA. Send flowers to share your condolences and honor Mary Ellen's life. It was reported by Austin American Statesman on May 13th, 2013 that Alvin Troy Vassar died in Kingsland, Texas. Vassar was 83 years old. Send flowers to share your condolences and honor Alvin Troy's life. It was reported by Odessa American on April 11th, 2013 that June Maria "Holley" Scheller (Henderson) died in Kingsland, Texas. Ms. Scheller was 84 years old. Send flowers to express your sorrow and honor June Maria "Holley"'s life. It was disclosed by Odessa American on February 26th, 2013 that James Milton Parker passed on in Kingsland, Texas. Parker was 77 years old. Send flowers to share your condolences and honor James Milton's life. Kingsland is a census-designated place (CDP) in Llano County, Texas County, Texas, United States. The population was 4,584 at the 2000 census. . . . The official website for the city of Kingsland is http://www.kingslandchamber.org/. Interment will be at the Kingsland Cemetery in Kingsland, Texas. Arrangements made by Putnam Funeral Home 145 Texas Avenue, Kingsland, Texas 78639 (325)388-0008. Alan Blomgren of Kingsland, Texas, and Rick Blomgren of Tuckasegee, N.C.Go to www.eastgatefuneral.com to share memories of Lorraine and sign the online guest book. Eastgate/Parkway Funeral Service, Bismarck, N.D., is serving the family. We work with local florists and flower shops to offer same day delivery. You will find budget sympathy flowers in Kingsland here. Our funeral flowers are cheap in price but not in value.